Newspaper reporter Leo Fabian doesn't think of himself as an opportunist. 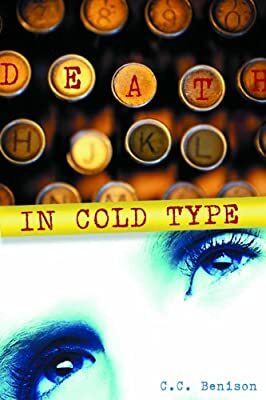 But when the object of his desire, Stevie Lord, loses the object of her desire to murder, he finds a whole new way to penetrate a woman's heart. Who would want to kill Michael Rossiter anyway? Scion of an old Winnipeg newspaper family, he may have been rich, but he didn't really seem to have enemies. But as Leo delves deeper into the circumstances surrounding Michael's death, he learns some surprising things about his friend that quite possibly led to his demise. Michael's brutal fate mires Leo in a case that comes to embroil his fellow reporters at the Winnipeg Citizen, including troubled feature writer Liz Elliot, volatile lifestyle editor Guy Clark, and Michael's narcissistic sister Merritt Parrish, whom Michael had tried to help get back on the straight and narrow. One of his oldest friends, Axel Werner, also becomes involved and, of course, Stevie, the woman Leo loves. The past intrudes in new and disturbing ways. Old scandals cast long shadows and long-ago deaths take on frightening implications. From old-money Crescentwood to a new-money mall, from the Citizen's dilapidated newsroom to a peaceful prairie retreat, Leo follows a complex trail of clues, until he not only knows, but knows he has only moments to thwart another brutal murder.